It may be hard to believe, summer is almost over. Now is the perfect time to whip your lawn into shape. Even with autumn knocking at your door, winter may still seem a long way off. However, now is the time to prepare your lawn for winter’s arrival. 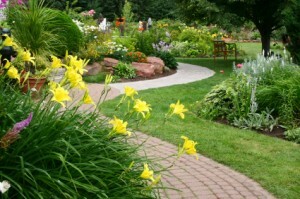 The most important time of year to fertilize your lawn is just before the onset of winter. Fall fertilization helps ensure that roots remain healthy and allows your lawn to store food for the winter. Fall fertilization is best because the lawn has passed through the stressful summer months and needs food to rebuild itself. During the fall season there is less competition from weeds, insects and diseases. Nutrients are required to take full advantage of the cool weather growth period to restore the lawn to full health and prepare it for the next summer. The benefits of fall fertilizing include a healthier turf before winter, a healthier root system, and will stimulate a turf that greens up earlier in the spring without excessive top growth. Fall fertilization produces dense, green spring lawns without the mowing chores that come with spring fertilization. It should be a part of every good lawn care program. The first application should go down between mid-August and mid-September. Then repeat the application around the middle of October. You will be amazed at how much thicker and greener your growing grass will be the following spring. It is recommended that the fall lawn care program be applied between Labor Day and Thanksgiving Day with another application completed the following spring. Before the snow flies is also a good time to winterize your underground irrigation system and they should be inspected in the spring before they are operated. 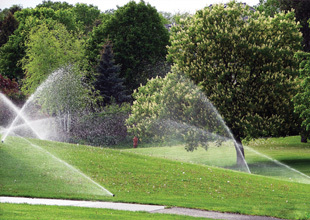 Winterizing your sprinkler system must be done on an annual basis, before the first freeze to minimize harm to your entire sprinkler system. When temperatures fall below 32° F., the water in your sprinkler system will freeze, expand and damage the unit. To avoid this, you must winterize your sprinkler system by basically draining the water and insulating the system to prevent damage. In Minnesota, freezing temperatures can occur from fall to spring, so it’s best to winterize your system in late summer/early fall as soon as the growing season ends.